Have you always felt you’d love a second chance? Do you feel you could do more with your ability and time? Galway Rural Development Company (GRD ) are organising the first round of The Learning for Life series during May to give you a chance to hear about free courses and training workshops available throughout Galway City and County. Freeda Garman and Clara Cashman of the SICAP team at GRD in Athenry are busy planning the Learning for Life series which will give people who are currently not working or stay at home parents the opportunity to hear about free courses – anything from Cookery Classes, Construction to Computer skills. Three locations have been chosen for this first series and all are welcome. You can drop in anytime from 10am to 1pm – on Tuesday May 16 at The Corralea Court Hotel in Tuam, Wednesday May 17 at The Shearwater Hotel in Ballinasloe and on Thursday May 18 at Loughrea Hotel & Spa in Loughrea. ‘We meet so many people with lots of talent, natural ability and intelligence who didn’t get the educational opportunities in the past or just need some encouragement. We are making every effort to bring training and upskilling opportunities to people in rural County Galway. We come across Moms who are self-taught bakers and produce wonderful cakes for family and friends, there are others who are doing woodwork and crafts and would love to know how to sell their products and earn some money,’ commented Elaine Quinn, SICAP Team Leader, Galway Rural Development Company based in Athenry. For people who have an idea about returning to work, there are lots of courses and advice which can bring you right up to date as regards computers, customer service, book keeping skills and accounts and what supports and benefits you can avail of. If you feel you lack confidence to get started, the Learning for Life series will give you information on workshops on personal development that will show you how to get started and get you motivated. Why not begin with a course that you enjoy as a hobby perhaps woodwork, gardening, hair styling or make up. The atmosphere in adult learning courses is not like a classroom, it’s relaxed and friendly and you meet new people which is great. Some courses can lead to people discovering a new-found love of learning and realise that they have plenty of ability. Some people learn skills so that they could consider going out to work. Many workshops give tips and practical hands on help on childcare or how to manage a household better and how to stretch the weekly budget through cooking healthy meals and money saving shortcuts. 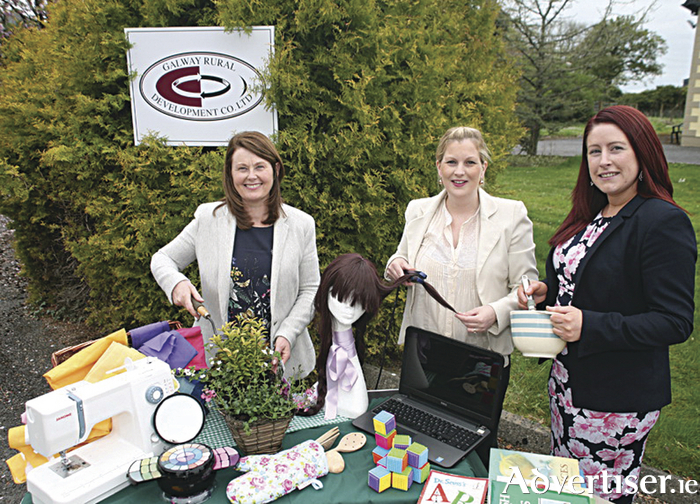 Learning for Life will showcase free training and courses provided by Galway Rural Development Company, GRETB (formerly VEC ), VTOS, Post leaving Cert courses, Dept. of Social Protection, Equal Ireland, Adult Literacy, Athlone Institute of Technology, NUI Galway, GMIT and other colleges throughout the county. The Learning for Life series is part of the new Social Inclusion and Community Activation Programme (SICAP ) for rural Ireland and Galway Rural Development Company have been given the role to deliver this programme in County Galway. SICAP aims to reduce poverty, promote social inclusion and equality through engagement and collaboration to strengthen local communities, promote life long learning and to help people prepare for working life.